Documentary film So, Which Band Is Your Boyfriend In? is set for a screening at Base Camp in Middlesbrough on Thursday 31st January, with the film sharing views of people from all walks of life within the UK music scene. 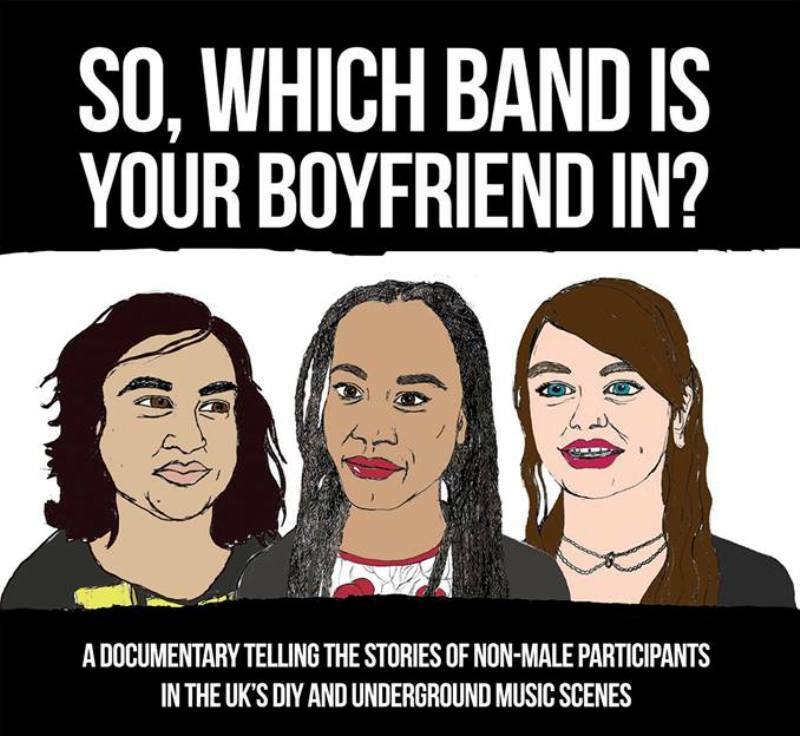 Giving voice to women and gender-fluid individuals, the doc explores gender within the UK’s DIY and underground music scenes. It’s a real passion project from director Suzy Harrison, who saw a lack of women and girls involved in these scenes and sought to find out why. It’s a look at the challenges those who don’t identify as male face in being a part of a music scene, with the film posing interesting questions and finding thoughtful answers, with a DIY approach to making the film an homage to the music scene that inspired it. So, Which Band is your Boyfriend In? is at Hey Base Camp, Middlesbrough on Thursday 31st January.